On April 16, 1968, the formation of “The Disposables Association” was announced at a press gathering held at the Plaza Hotel in New York City. The Association was founded as a non-profit organization of company membership to collect and develop factual information, while providing a legally sanctioned and supervised forum for the industry in which common problems could be discussed and programs to solve them devised. In July, 1972, the group effected a name change to more accurately reflect the scope of its interests and the membership it serves. The organization’s name became International Nonwovens and Disposables Association, otherwise known as “INDA”. This change would help communicate that nonwoven fabrics could be manufactured and used in many end products, of both durable and disposable natures. It was INDA who first determined there was a need for a worldwide event to act as a meeting ground where all levels of the nonwovens industry – users, suppliers, manufacturers – could learn from each other. The first International Disposables Exposition and Assembly, otherwise known as IDEA, took place in October of 1971 at the Philadelphia Civic Center, Pennsylvania. 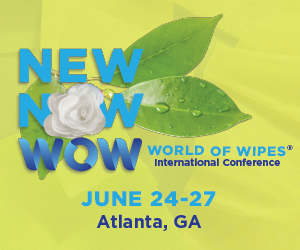 The conference program, featuring sessions of learning and interest to users, manufacturers, suppliers and distributors of nonwoven fabrics, and an exposition gave an opportunity for the entire industry to showcase products. With over 3,000 attendees, the success of the event led to more expos including IDEA 74 in October at the New York Coliseum in New York, New York. As the global nonwovens industry grew, it became clear that one association could not adequately serve the needs of the world, thus EDANA (The European Disposables and Nonwovens Association) and several Asian Nonwovens Associations were formed. The Association’s name, “INDA”, was officially changed to “The Association of the Nonwoven Fabrics Industry” in 1976. However, after years of use the word “INDA” remains as an identifiable acronym for the official title of the Association. Today, INDA is still well known for its conferences, expositions and training courses as well as monitoring government policies affecting the industry, while managing issues affecting the industry’s worldwide standards and image. The IDEA Conference and Exposition continues to successfully serve the worldwide nonwovens industry. The event is now held every three years in the United States on a rotation schedule between EDANA’s European show and an Asian show.